Kristiane Backer is a TV presenter, journalist and voice-over artist based in London with a pan-European career. From 1987 to 1989 she worked as a trainee for the private radio station Radio Hamburg. In 1989 at the age of 24 Backer became the first German presenter for what was then an English-only pan-European music TV channel, MTV Europe, where she interviewed most of the major artists and musicians of her time and presented a variety of shows until 1995. She created and hosted from 1992 to 1995 her own youth show in Germany, Bravo TV, and presented a daily guide to culture and entertainment, The Ticket NBC on NBC Europe. She later studied natural medicine, qualified as a homeopath and presented a health program on RTL. After many years' break from the television business Backer hosted again in 2009, including the travel programs for the Travel Channel, and the inter-faith program Matters of Faith for the international channel Ebru TV. 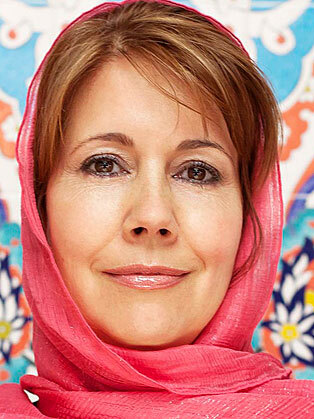 In 2012 Backer published her memoir From MTV to Mecca: How Islam Inspired My Life in the UK with Arcadia and Awakening. The original book was published in 2009 in Germany and 2010 in the Netherlands. Backer is engaged in intercultural and interfaith dialogue and was nominated Global Ambassador for the Exploring Islam Foundation. In 2010 she was the face of the "Inspired by Muhammad" media campaign.